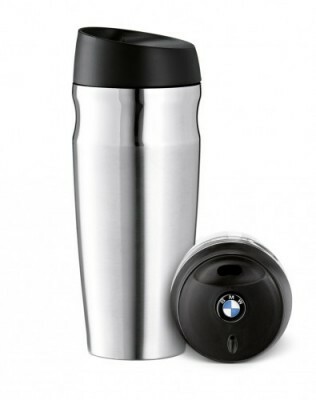 Drink your favorite beverage while staying warm and displaying your BMW pride with the BMW Lifestyle thermo Mug! This BMW Lifestyle Thermo Mug is made for a beautiful Brushed steel and will provide much needed warmth on those cold days! Plastic lid is included, with premium enamel BMW logo. Holds 15 fuid ounces!